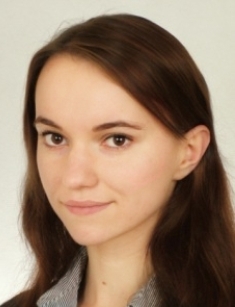 My name is Marlena Stawska and I am actually a PhD student in the SeedExplorerGroup at the Department of Plant Physiology Warsaw University of Life Science-SGGW, with PhD Krystyna Oracz as a group leader and supervisor. In June 2014’ I have obtained my master degree in biotechnology in plant production at WULS-SGGW. During my master thesis, under supervision of PhD K. Oracz I was elucidating the role of blue light in regulation of dormant Arabidopsis seeds germination. At the same time, I was also actively involved in another project investigating the role of particular genes responsible for regulation of translation in germinating Arabidopsis seeds. During my PhD studies I will continue my work in the same research group, elucidating molecular aspects of seed dormancy and germination regulation with a special focus on the role of environmental factors such as light and temperature. Privately I enjoy gardening, traveling and learning about new cultures.